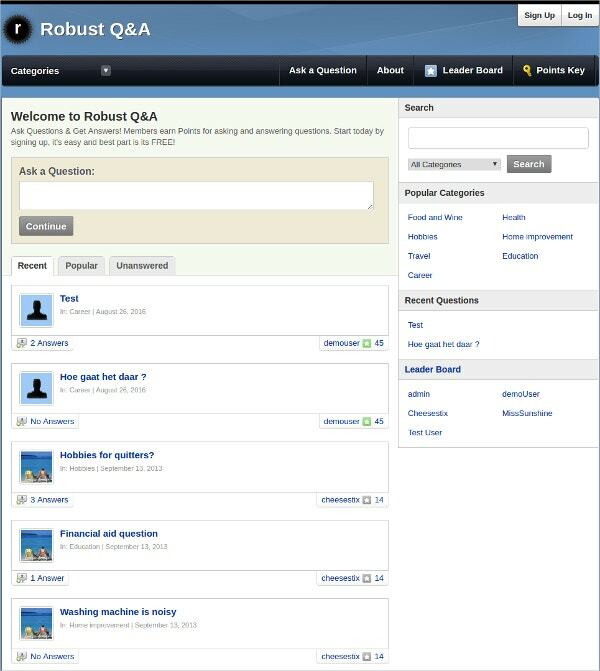 Are you looking forward to coming up with a Question & Answer portal like that of Yahoo Answers or Quora? Well, that’s great and to ease your work, you can any day, look for the Question & Answer WordPress Themes online. 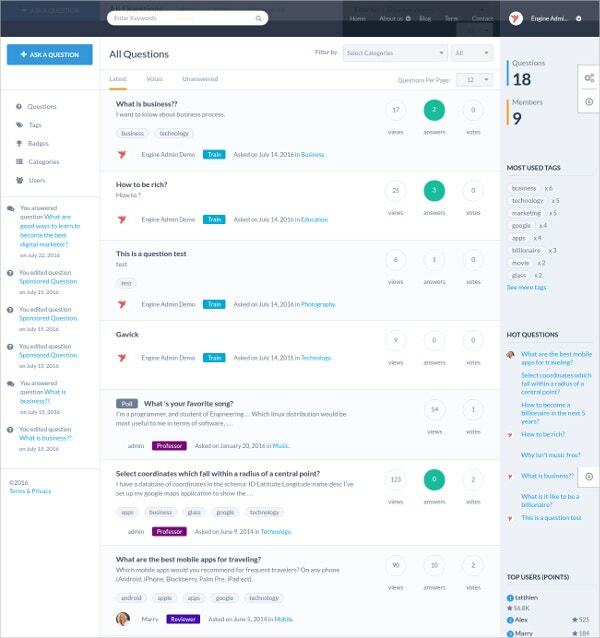 The great bit with these themes is that they come up with all the needed support you require to have your forum or Q&A site up and fully running with all standard functions in minutes. You can also see Admin WordPress Templates. You have a brilliant Question and Answer WP theme here which works amazing, especially with WP 4.4.2. The custom template comes with the edgy feature of tags for your questions and a click on the tags will help you to tag the archive pages. There are three color schemes to choose from. If you have been looking for professional Question & Answer WordPress Themes, this is certainly the theme for you. The theme will enable the users to submit the Q&A entries quickly and if you are willing to buy the premium pumps- you will have your questions right on top. The theme comes with a wide range of user-badge levels and points. 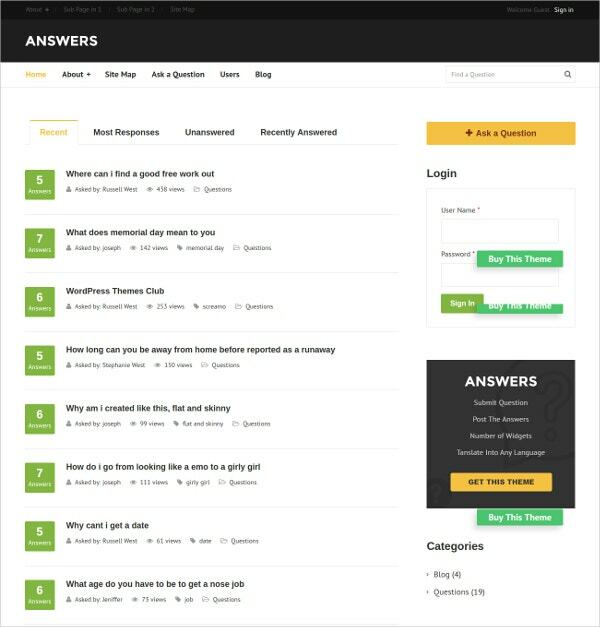 This is one of the best responsive Question & Answer WordPress Themes that you can have now. The retina-ready theme comes with over 350 retina icons and unlimited options of colors. The full boxed layout looks perfectly professional and there are advanced page/post options. You can choose from unlimited sidebars. This Q&A portal WP theme arrives with an in-built Easy install feature to assure easy installation. 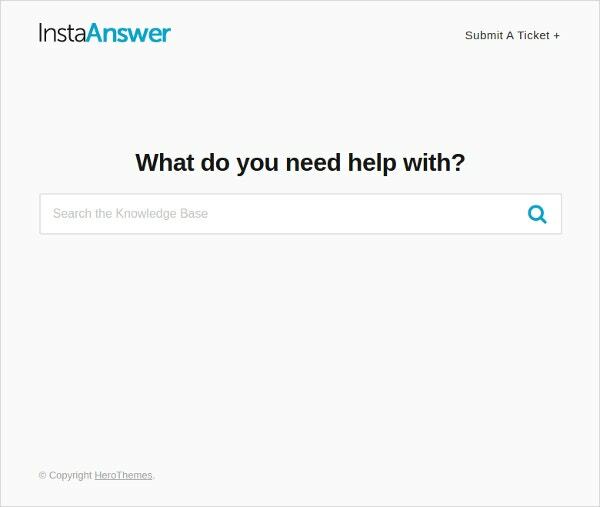 The “ask question” section is right on the homepage and the theme allows both the user & visitors to vote on answers. Besides, the theme permits easy customization of widgets, register form and footer. 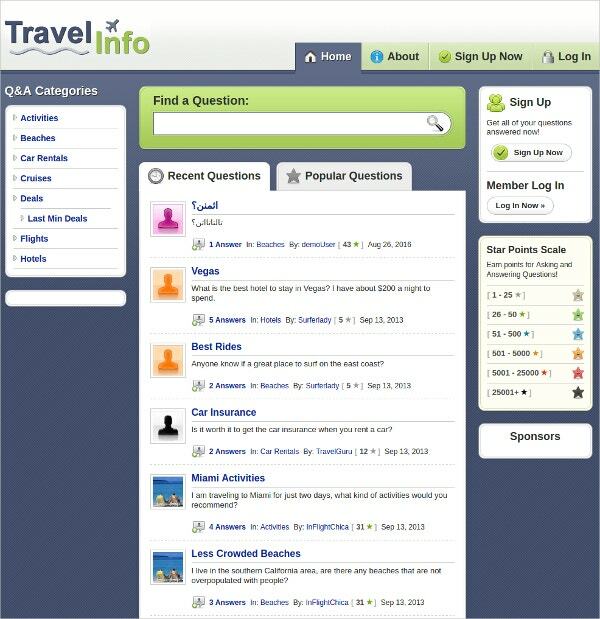 The theme even enables the users to translate the answers. 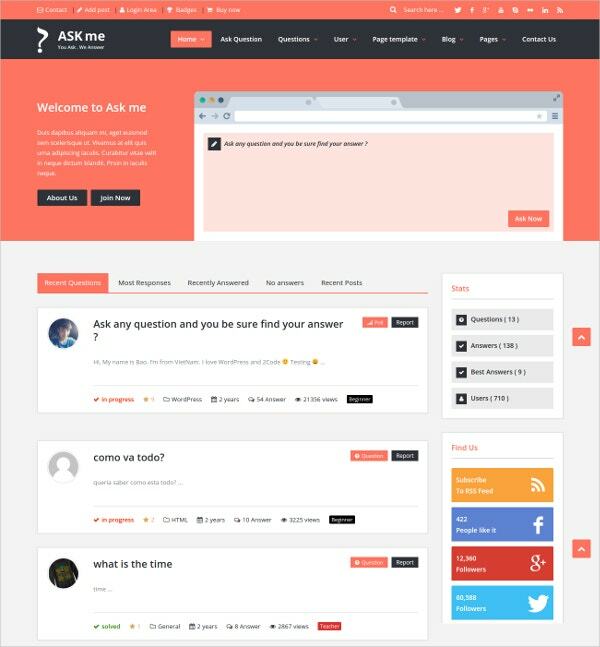 You have an awesome Q&A WP theme waiting for you here with a modern full-width outlook, specially optimized for a great Question & Answer experience. You have all screen-size support here and the theme has come up with point and badge system. The coolest deal is that the theme works just seamlessly on mobile devices. 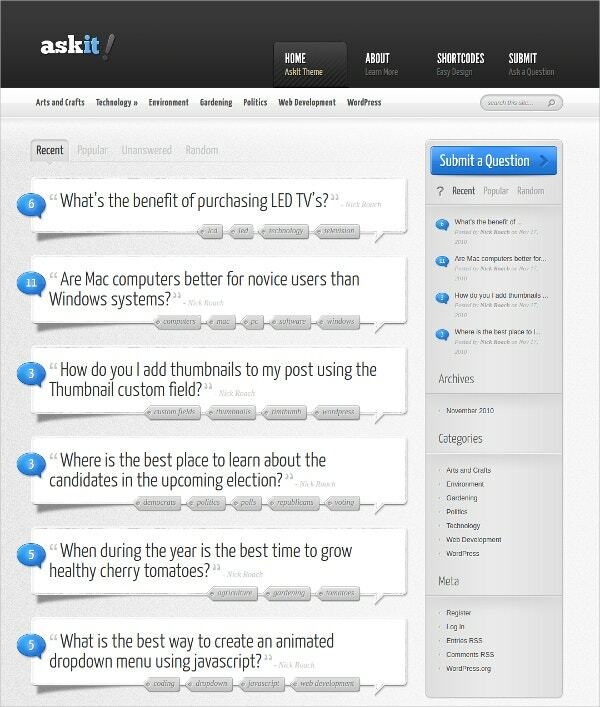 You have a great Question & Answer plugin here that perfectly suits any theme. If you are looking forward to get the same professional touch of that of Quora or StackOverflow for your Q&A site, look no further than this plugin. 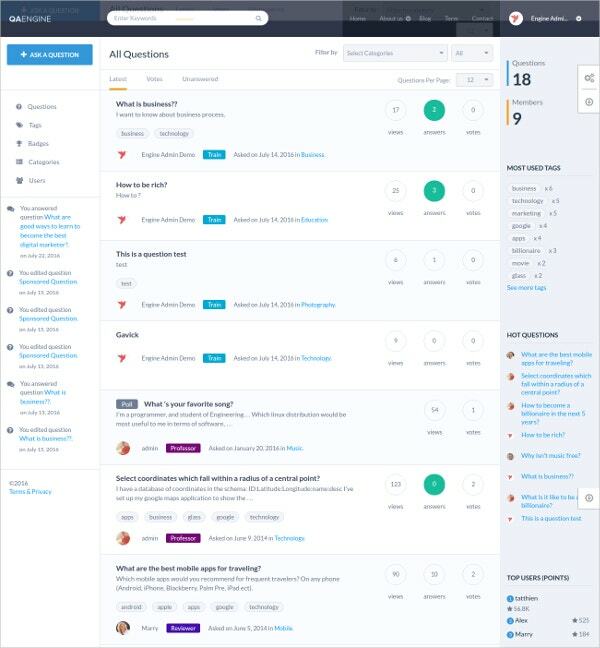 It comes will all standard features such as question listing page, ask question form, voting, answer/comment feature and so on. You have a solid Q&A theme here which works especially best with WP 4.5.2. The Ad-monetization ready theme is packed with all the needed features for a leading Q&A site- such as custom log in & sign up pages, seamless color schemes, custom designed email, leader board, easy translation facilities, membership features and so on. One of the most advanced Question & Answer WordPress Themes till date, the theme is easily compatible with the latest WP versions. The great set of shortcodes here assures a complex and beautiful layout without having to do much with coding. The theme carries translation support, cross-browser compatibility and you can choose from 7 unique color options here. The great responsive theme is much loved by all given its amazing ability to provide immediate answers to customer queries. You can customize it easily as per your company theme and color. 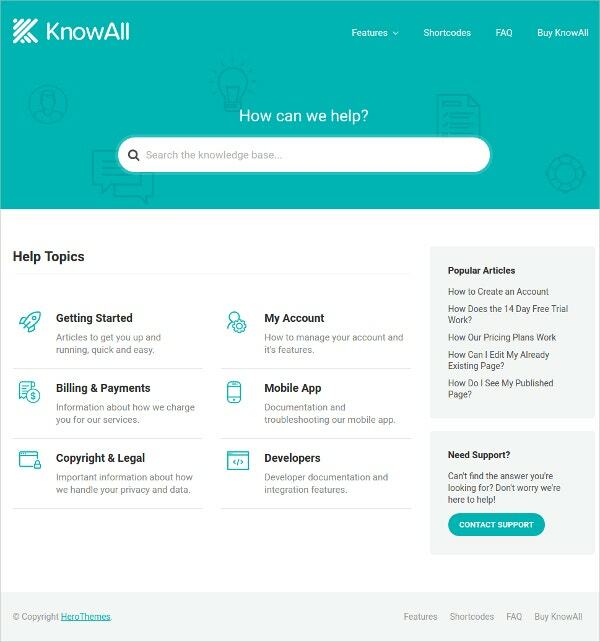 You have a responsive theme here and it carries all the needed features for running a robust knowledge base effectively- functional shortcodes, article attachments, handy widgets, translation-ready facility, etc. If you are looking for a professional FAQ Q&A WP theme, look no further than this theme. It comes with a fancy customizable FAQ layout and a great collection of shortcodes. Moreover, the theme is a responsive one and hence will work great on the mobile devices. 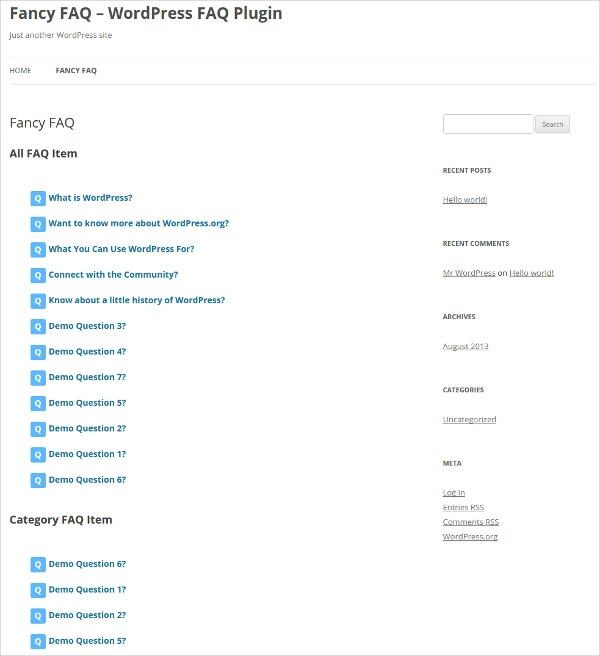 You will be able to display the FAQ with your desired category. If you are looking to make your customers happy with insta-quick answers, there cannot be a better option than this theme. It promises customer-focused simple design for easy navigation, responsive layout, convenient customization facilities without the need of coding knowledge and so on. Other important features powering the theme are translation-ready facility, article attachments, article feedback, etc. You have a wonderful FAQ Q&A WP Management theme here that assures amazing cross-browser compatibility. There are nine color schemes and versatile range of shortcodes with this theme. Besides, the theme comes with all standard features of a FAQ portal such as FAQ custom post type, FAQ topic widget, FAQ topics, Plugin settings page and so on. When you are aimed to ensure the best professional outlook with your forum or Question & Answer portal but are worried about your limited coding knowledge, there are several forum themes to go for online. 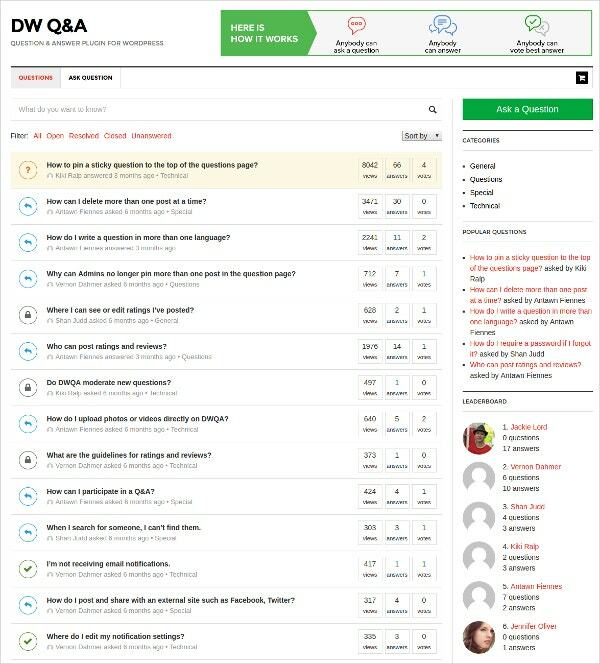 They come pre-structured with all the basic features of a standard Question & Answer portal, with easy customization facilities, so that you can create your own FAQ site in minutes.